Follow Start > All Programs > DVDVideoSoft > Programs > Free Uploader for Facebook or click the DVDVideoSoft Free Studio icon on the desktop and choose Free Uploader for Facebook. 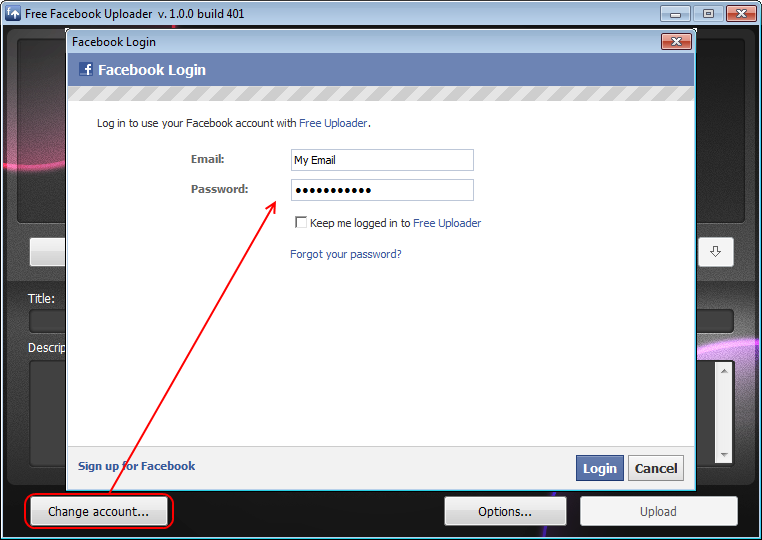 Log in to use your Facebook account with Free Uploader for Facebook: enter your Facebook login and password. You can set the program to keep you logged in and you can change account information any time. Note: In case the login/password is invalid, you will not be able to upload any video. Click the Add files... button and select video(s) from your computer. You may add information about your file(s). 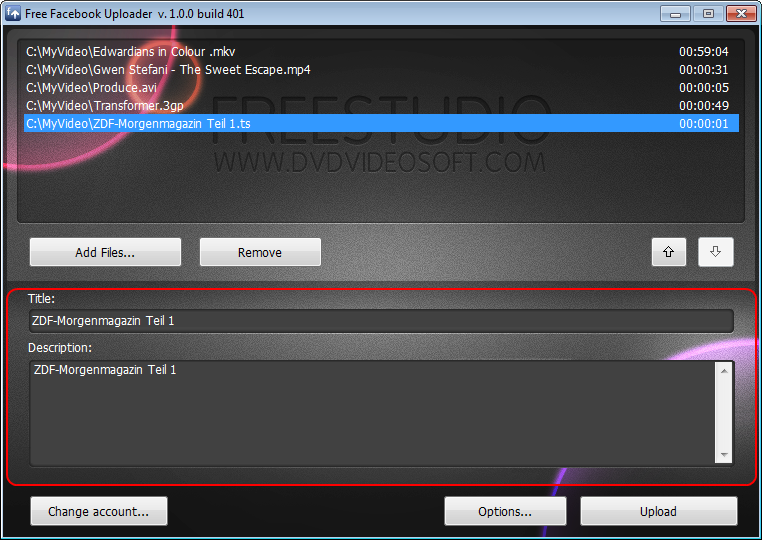 By default the program fills the Title and Description fields with the video name. If you want to customize parameters, please select one of your videos and fill out the fields (Title and Description) with relevant information. To set parameters for more files, you need to fill out the fields for each file separately. Click the Upload button and wait several minutes. The uploading time depends on your video duration and Internet connection speed. Note: If your connection is slow, it may take up to 40 minutes to upload a video. Please be patient.